Directed by McG, 3 Days to Kill stars Kevin Costner as hotshot CIA operative Ethan Renner, who's diagnosed with terminal lung cancer (signified by a Cough of Death) after collapsing on his latest mission. Determined to spend his remaining days rebuilding his relationship with his ex-wife Christine (Connie Nielsen) and estranged teenage daughter Zooey (Hailee Steinfeld), Ethan relocates to Paris, only to be lured back into the time-honoured “one last job” by slinky secret agent Vivi (Amber Heard), who promises him a regular supply of experimental, life-prolonging cancer medicine (don't ask) if he'll help her an catch international terrorist known as The Wolf. 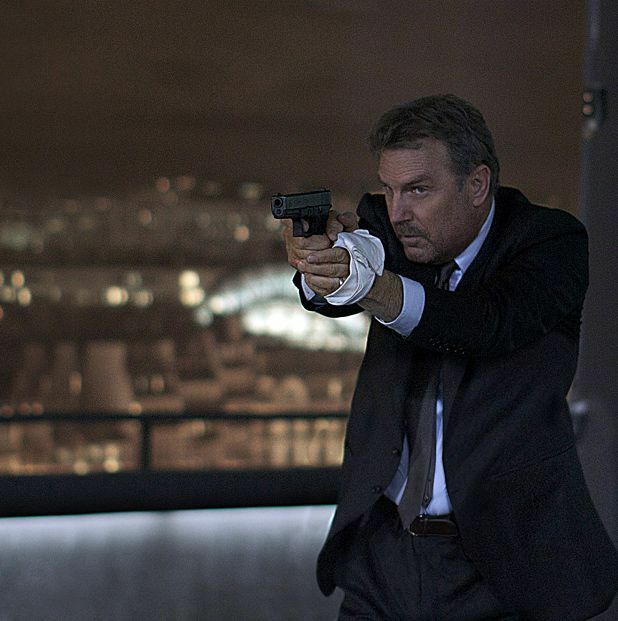 With a script co-written by Luc Besson and a European setting, it's no surprise that the publicity for the film has attempted to play up the similarities to Taken and indeed, it's not hard to imagine Costner deciding he fancied a piece of Liam Neeson's latter-day action hero action. However, the similarities are only on the surface, as this is much more concerned with sentimentality and father-daughter bonding than it is with delivering non-stop action and brutality (that 12A rating is a dead giveaway, for starters). Unfortunately, the plot is so preposterous that it only ends up generating unintentional giggles (Heard's character is particularly ludicrous), while the duller-than-dull action sequences are confined to a handful of perfunctory shoot-outs and an uninspired car chase. There are also long stretches in the middle where the same joke (Ethan's father-daughter bonding repeatedly interrupts his mission) gets stretched to breaking point. That said, Costner and Steinfeld are both on fine form and the film does throw up the occasional worthwhile moment (such as Ethan's fixation on giving his daughter a purple bike), but for the most part it's a confused and poorly written mixture of thriller and sentimental comedy-drama that struggles to find the right tone. A dangerous international spy must juggle two of the most dangerous things in his life: hunting down the world's most ruthless terrorist and looking after his teenage daughter by himself.